Huayan Monastery stands on a cliff of tens of meters in height, shaped like a scepter. Huayan is a complex of the Upper Huayan Monastery, also called the Great Temple of Treasure(Da Xiong Bao Dian) and the Lower Huayan Monastery. There are the green bamboo forest and the old and strong pins inside and outside of the monastery . 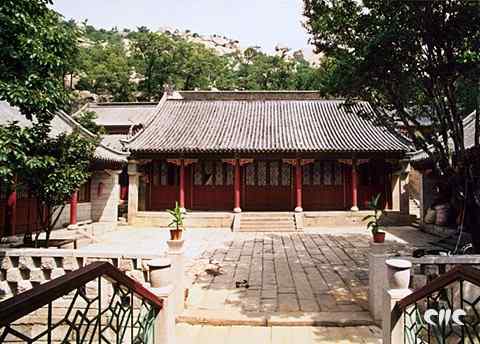 It gains the name because there is a cave called Huayan Cave at the south side of the temple. There is no historical record about the year in which the monastery was built. Covering an area of 160,000 square meters, Huayan Monastery's construction acreage is 16,000 square meters.